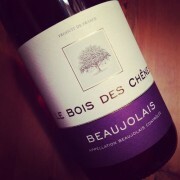 Bought at a wine store in France by a friend since Dauvissat’s wines are not available around here. Merci Baptiste! 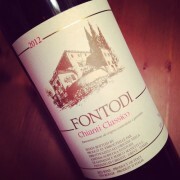 Tasted along a Fontodi Chianti Classico 2012 – no winner, but liked both of them! Why this new line of blog post ? Because I find it captivating ! Wine world is full of wine lovers who, by their interests and unique personality share theirs attachment to this lovely, intriguing yet touching beverage! My life as a wine passionate was to this day sprinkled with wonderful encounters. Many have shaped of influenced my relationship with wine. So I’ve decided to share some of these persons that, at a moment or another have contributed to the flourishment of the wine lover I have become. My questions and their current interest will be the base of these interviews. Why Geneviève? First, as I client at réZin wine agency, I had the opportunity (and pleasure) to meet her on multiple occasions. I then was able to see how passionate she was for life and for wine in a contagious way. Then, it was almost natural for me to begin with her to start this new line of blog articles! I met her for a coffee in the decor of Café Vasco da Gama on Peel Street in Montréal. Coming from Westmount in Montréal and being French (which is kind of rare around there! 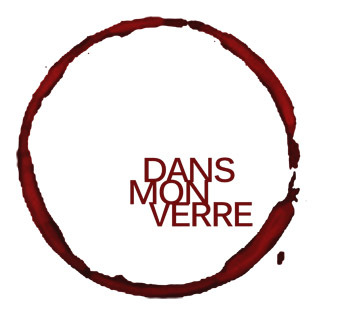 ), Geneviève was brought to wine by Steve Beauséjour and Xavier Burini, two colleagues at the resto-bar Le Cube. At that moment, she was doing a police course while having a job there. These guys played a key role in the interest she will develop for wine. This new passion was so strong that she dropped her police studies to register at the ITHQ (Quebec’s Hotel and Tourism Institute) to become a sommelier. When her sommelier training was done, she worked as a sommelier at the Brontë restaurant then almost 8 years as marketing Director at the wine agency réZin. Also passionate about the restaurant world, she perfected her skills at Joe Beef, Lawrence, les 400 Coups and le 357C. 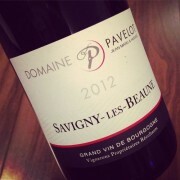 Excellent to bring up front lesser known products and really into wine, Geneviève is, at only 27, on a new start. She just begin a new job as Canadian and Caraïbes Export Director for Michel Chapoutier. 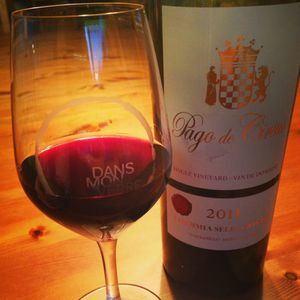 Passion for wine usually comes gradually, but from amateur to wine lover commonly origins from a specific moment. What is yours ? “Comfort food” usually brings up the joy of eating a well appreciated meal that warms ourselves up. Do you have a “comfort wine” ? 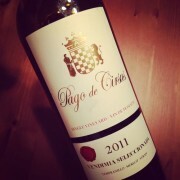 It is almost impossible to split apart wine from the word “share” or “generosity”. Many of us, wine lovers, had the opportunity to share with amazing persons incredible wines in what could be called a magic moment. Any memories of one of those moments ? 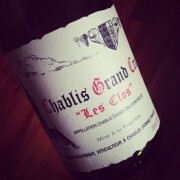 In the recent years, Grand Cru level and well renowned wine prices just went crazy. 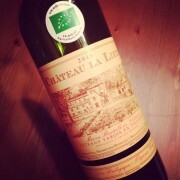 Do you have a suggestion of a moderately priced good wine ? 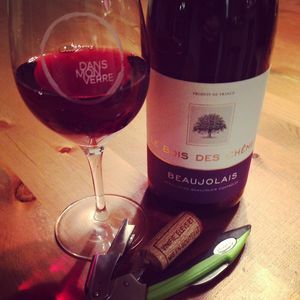 As a wine geek, it is nearly impossible not to have wine while camping of during a stay in a cabin. Any suggestion of a wine for outdoor aficionado ? 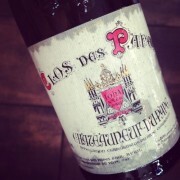 Wine do bring us up to amazing things and discoveries, but also is at the origin of projects. What is your current project? Thanks again to Geneviève for having met me and share again her passion with me, and all of you ! 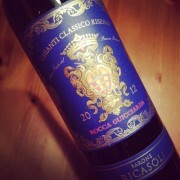 Drank this winr along a 2012 Barone Ricasoli Rocca Guicciarda Chianti Classico Riversa 2012. 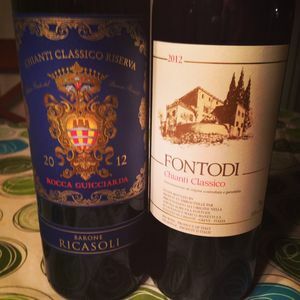 No winner, just two very good wine!